Egypt’s Civil Aviation Minister Hossam Kamal has accepted the resignation of Sameh el-Hefny, Chairman and CEO of EgyptAir, after he had been summoned to the Ministry over accusations of mismanagement. According to state-owned Al-Ahram, the Administrative Control Authority had released a report that highly criticized EgyptAir’s mismanagement. The administrative watchdog reported that a number of newly purchased planes had not been used, there was pieces of scrap left along the runways at Cairo International Airport and that a piece of land owned by EgyptAir had been turned into a dump and was unused effectively by the company. Despite the mismanagement report, El-Hefny defended his record as Chairman and CEO, telling Al-Ahram that EgyptAir did not have responsibility for these violations. 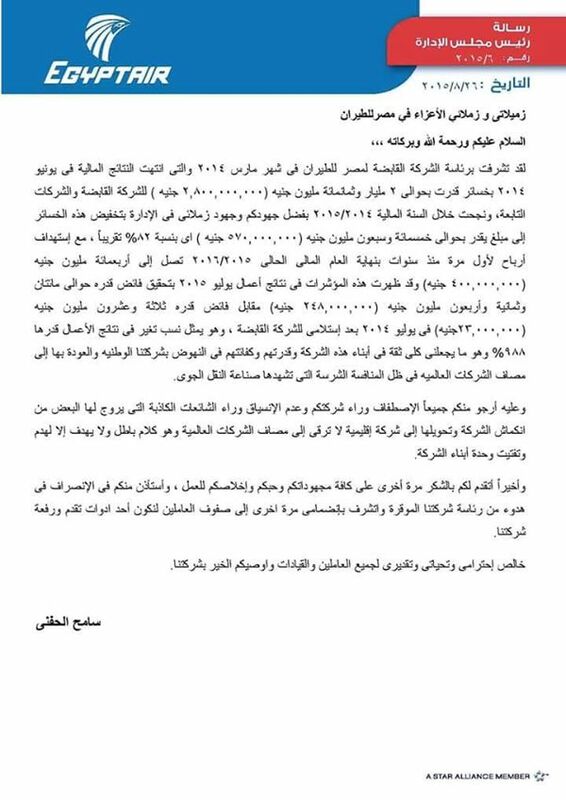 On EgyptAir’s Facebook page, El-Hefny also released a letter in which he defended his tenure and employees. According to El-Hefny’s letter, the former Chairman noted that since March 2014 EgyptAir had managed to cut its losses from EGP 2.8 billion to just EGP 570 million. 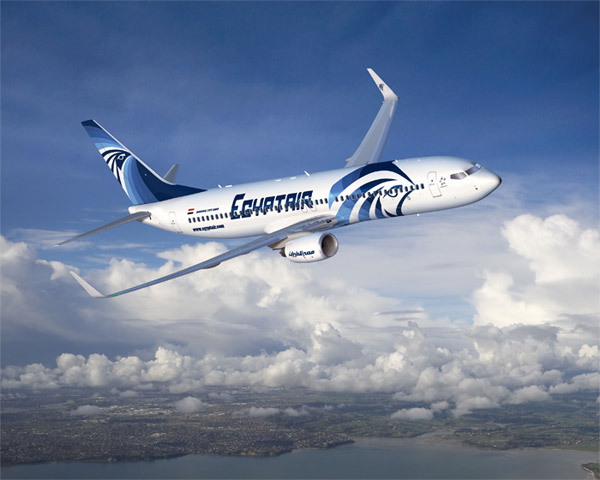 EgyptAir had accumulated EGP 10.11 billion in losses between 2011 and December 2014, said El-Hefny to Al-Ahram. In the letter, El-Hefny also urged employees of EgyptAir to stand by the company and to not listen to false rumors and lies. El-Hefny also thanked everyone for their efforts and pledged to stand with the employees of the company. Despite recent financial stimulation, EgyptAir continues to struggle to revive itself since the January 25 revolution.